April 27th - Rifle Practice (100yds) Short Siberia + India Mutiny Cup. April 27th - 28th - Pistolfest/Schutsenfest/Cannonfest, Wedgnock. April 28th - Surrey Branch Guest Day, Cheylesmore-B, Bisley. April 28th - FBHVC National Drive-It Day - if you have a Classic or Cherished car, drive it today. May 5th - Shotgun Practice, Henley Park Woods. 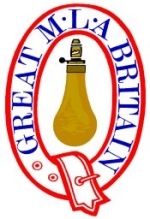 May 7th - Branch Meeting, L&M Clubhouse, Bisley. May 10th - National 300yd Free & Enfield Rifle Championships, Bisley. May 11th - LLRB 900yds Championships (am), 1000yds Free Rifle Practice, Bisley. May 11th & 12th - National Cannon Championships, Wedgnock. May 11th - Branch Revolver & Pistiol Champs., Cheylesmore-B. May 12th - National 500yds Free & Enfield Rifle Champs, Bisley. May 19th - MLAGB AGM, L&M Clubhouse, Bisley. May 24th to 26th - Phoenix Meeting, Bisley and 3 day Arms Fair.